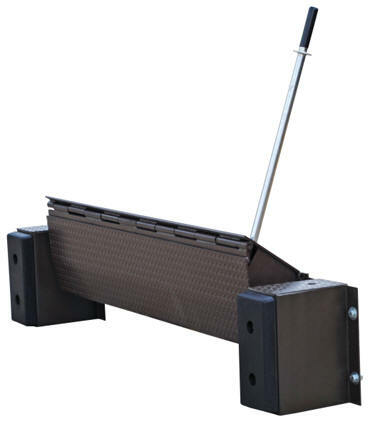 The Edge-O-Dock leveler permanently attaches to face of dock. It is recommended for docks to be at least forty-eight (48) inches high. When the trailer departs, the lip drops automatically behind the face of the bumpers. Concrete recess is not required. It comes complete with 2" x 8" x 18" bumpers and installation instructions. Standard ramping is twenty-nine (29) inches, Models FM/PP/PE 3066 and 3072 are (29-13/16) inches with a (36-5/8") inch long ramping length available for smaller grade. Each unit provides a service range of five (5) inch above dock and five (5) inch below dock height. 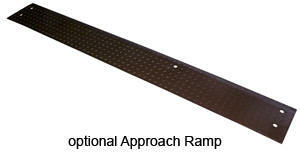 A steel dock edge, or approach ramp is required for proper installation. 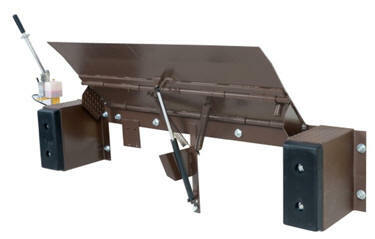 The Mechanical Edge-O-Dock is operated by placing the actuation handle into the pocket of the inner lip and pulling down toward the floor. The operator then pushes the handle forward until the lip rests on the truck bed. As the trailer departs, the lip retracts behind the bumper face automatically. The Hydraulic Hand Pump system is used to lift the leveler and extend the lip. The operator rotates the relief valve allowing the deck to descend down and rest upon the trailer. Unit comes complete with hand pump, wall-mount brackets, cylinder, 15 feet of hydraulic line and oil. Truck must pull out for leveler to return to stored position. 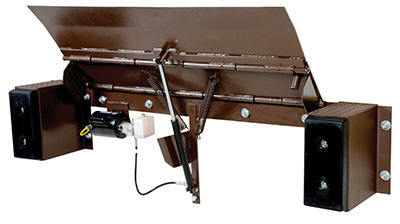 The Electric Hydraulic Edge-O-Dock is the easiest to operate. After the truck is backed against the dock, push and hold the control button. The leveler raises and the lip will extend. 115V, 1 phase power standard. Unit comes complete with motor, pump, control box, cylinder, lines and oil. Truck must pull out for leveler to return to stored position.